On Saturday, I went on a day long biking/hiking trip. It resulted in a serious sunburn but it was totally worth it! 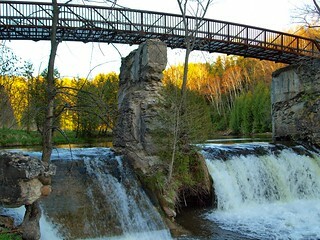 I did not realize how beautiful the Forks of the Credit Provincial Park was. This park is full of history from the late 1800s to the early 1900s. There were plenty of ruins too. It was quite a unique experience. I will definitely be returning but next time we are not taking bikes but we are strictly hiking. Have a wonderful week everyone :)!